Several complaints against Bhushan over his remarks on Lord Krishna were lodged in Uttar Pradesh and Rajasthan. 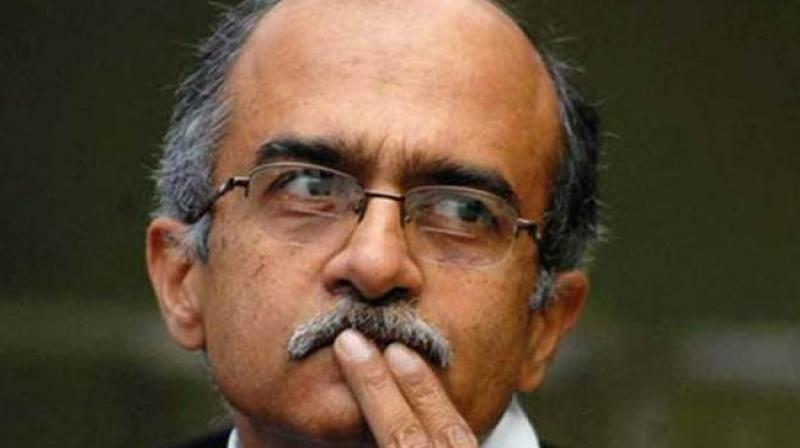 Muzaffarnagar: Lawyer-politician Prashant Bhushan has been booked in Muzaffarnagar for hurting religious sentiments over his "offensive" remarks against Lord Krishna. The case was on Wednesday evening registered on the basis of a complaint by Akhil Bharat Hindu Maha Sabha President Yogendra Verma at civil lines police station, police said on Thursday.